Expectations, anxiety, thrill, and an iota of fear, were some of the feelings that gripped me when my summer internship at Airtel was about to begin. I was chosen for the Customer Experience role, and was pretty much excited ( and quite nervous too!) about the project which I would be getting there. 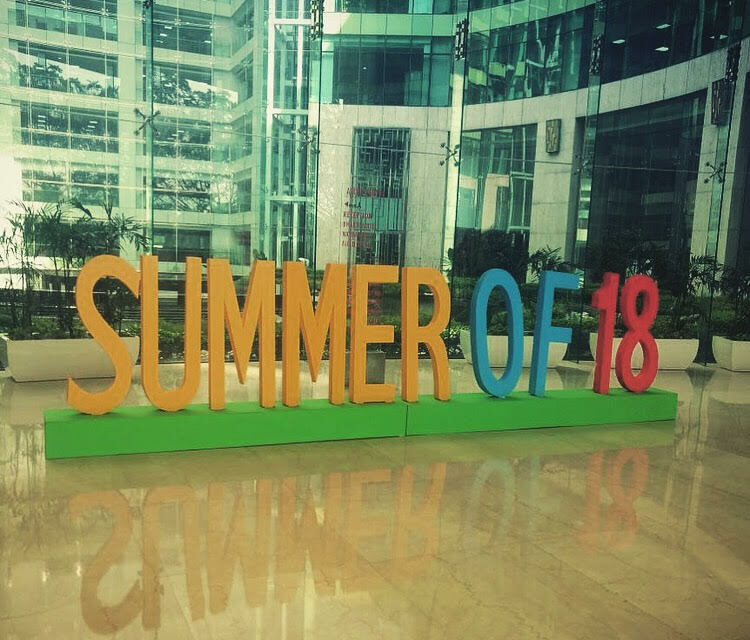 The internship began on a very cordial note, where in we had group activities, Zumba session, talks by senior leaders and treasure hunts, which gave us the opportunity to know about the fellow interns, the company work-life, and their vision. Post our project allotments, we were assigned guides, at three levels of hierarchy, namely buddy, sponsor and guide, to help us throughout the process, and help if impediments come into play. Personally, this was my very first experience at the corporate. Previously, and had the predispositions that senior leadership not easily approachable, and we, being interns, would face a lot of difficulties, even to meet them. However, this was clearly not the case at Airtel. I was surprised when senior leaders would readily make themselves available for clearing our doubts, and helping in our project. I got to interact with such leaders, not only in my department but other departments too, without any hitch. These two months journey at Airtel is something that I would always treasure, because not only it provided me with a great exposure, but also it shattered my earlier held beliefs about the dreaded corporate life, and how interesting can work be if you are surrounded by the teams which are conducive to your growth and learning. Pratyush Chawla is currently a student of MDI Gurgaon.